Orthopaedic Associates, L.L.P. (Houston) - Book Appointment Online! **PLEASE COMPLETE PATIENT FORMS ONLINE TO ENSURE SCHEDULED APPOINTMENT The physicians of Orthopaedic Associates, L.L.P., the oldest ongoing orthopaedic group in Houston, believe in the philosophy established by their founding fathers: a conservative approach to surgery, combined with personal attention, provides the best treatment of orthopaedic injuries. 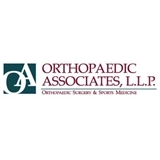 Founded in 1950, Orthopaedic Associates was formed to provide excellent orthopaedic treatment and surgery. State-of-the-art facilities located in downtown Houston, Bellaire, Kingwood, and in Katy, offer patients comprehensive treatment and surgery services close to home. The reason the visit was so long was because he had an emergency over at the hospital which delayed in getting over to see his patients. Dr.Amy was very pleasing and caring. I had a wart under my foot which was very painful and she treated it very well. She is the best!